I’m not sure why I write these TripBlogs. Maybe it’s for Marty Lipsky and the two other people who read them and enjoy them. Maybe it’s for when I’m in my late 90s and can’t travel anymore and want to reminisce. Maybe it’s because my webmaster wanted me to. Maybe I just like to write. Probably other reasons. But for some strange reason I feel compelled, since I began the tradition with my big European Tour of 2014. It’s amazing how much has changed in the Three Principles world since then. I had planned to leave on this long journey to Australia from Richmond, Virginia, because I was living in Charlottesville in a relationship with a most wonderful woman. But life threw a curveball and I found myself back in Boca Raton, Florida. The problem was my plane still left from Richmond. I figured it would cost me a couple hundred to change the ticket to leave from Florida. Turned out to be over $1000! Okay, couldn’t do that. Didn’t want to drive the two days to get back there. So I had to get another (sort of) round-trip ticket through Philadelphia to Richmond, before I could even start my journey. My first dilemma came in deciding how I would get to the Fort Lauderdale airport. I didn’t want to leave my car at the airport or the train station for a month, I couldn’t get a ride with a friend or neighbor, taxis and limos were too expensive, so I thought I’d try Lyft. I had used Uber a couple of years ago, but I’ve heard bad things about the company. So I downloaded the Lyft app (technology is always a challenge for me but this was reasonably easy) and had to trust that some Lyft driver would be near my vicinity at 4:30 AM and actually show up! Sure enough, the Lyft driver came right on time. Nice guy, too. Through our conversation, I think I made a book sale out of it. The only two issues were his cologne was overpowering and he dropped me off at Terminal 1 when I apparently needed to be dropped at Terminal 3. So I walked it; luckily the FLL airport is not that big, and I figured I could use the walk because I’ll be sitting on a plane for days. TSA Prescreening was great with my Global Entry Pass. That was certainly money worth spending, especially upon return to the USA. And so my new journey begins. 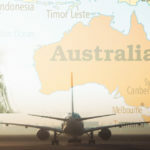 I had been wanting to get back to Australia ever since doing a training in Perth, Western Australia almost 20 years ago, pretty early in my Three Principles career. I really liked it there. So on this trip, besides going back to Perth, I’m heading into new territory for me: Melbourne and Sydney, Eastern Australia. That’s why I say, “Join the Three Principles, See The World.” I am very lucky. This time, though, I am leaving with a feeling of emptiness in my heart. Those who read Seduced by Consciousness know relationships have been a big blind spot for me, in that I tend to forget all about the Three Principles in that important aspect of my life. And this last one has been both wonderful and a tremendous growth experience, but now I feel the need to seek a deeper connection to and relationship with Universal Mind/Spirit/God. 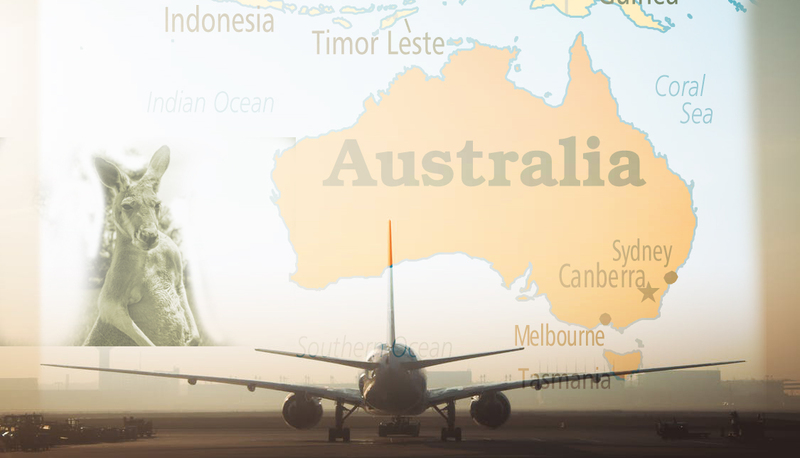 As I head to Australia I am pointing myself in that direction, I am in prayer, I know I need to get into a meditative state, I seek what I AM so I really know there is no seeking. There is only realizing. I know I need to turn more away from form and turn toward the light. I am afraid. Form is what I know. But so what if I’m afraid? Speaking of form, coming into Philly the weather was pretty bad, and at one point we hit a big air pocket that made the plane take such a fast dip that a number of people’s books and other assorted items flew right out of their hands. Whoa! Suddenly my heart felt like it was beating right up in my mouth. But I’m ready to die if I need to. I’ve had a pretty long, great, fulfilling life. I don’t fear death. I do fear pain, though (future thinking, of course!). In the Philadelphia airport, which is big, I landed in Terminal B and had to get to Terminal F for my flight out of Richmond to Dallas. I decided to pass on the shuttle and took the long walk again, my heavy backpack the only drawback. On the plane out of Philly, we sat on the runway for an extra hour to wait for thunderstorms to pass. That delay caused me to barely make my Dallas flight. Because my plane tickets were booked separately, I had to get my bag and go through customs again, then check my bag in again. These TSA agents completely ignored that I had a Global Entry Pass and must have thought I was a potential terrorist. They took me into a back room and did a lot more than pat me down. I’m pretty sure they discovered I am a boy, not a girl, and that I had nothing hidden in any crevices. I hope they had fun. Then in Dallas I had to go through customs once again because of the international flight, and it was on to Sydney. Monday, February 12. What happened to this day? I lost it somewhere. That’s what happens when you fly from the States to Australia; you lose a day. I think I lost it somewhere in the middle of the night. I sat in an outside seat in the middle of the plane, there were two empty seats next to me, then another guy on the other end. I got all excited that I had some room. But trying to curl up across just two seats isn’t very comfortable. Then I felt feet touching my head, as he tried to do the same. So I got up and went to the bathroom, and when I came back he was sound asleep across the three seats! The nerve! I hardly got a wink of sleep on thus hugely long flight. The next morning I saw that his t-shirt read: “I run the world.” His attitude suddenly made sense. It was a Nike shirt.
. With love and deep appreciation..Marty.